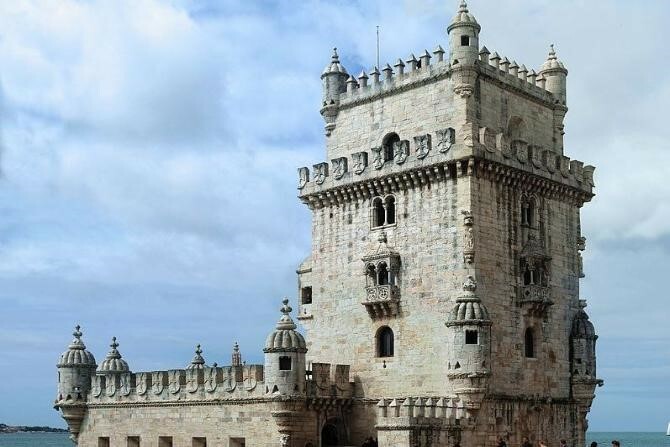 This impressive defense tower (officially called – Torre de Sao Vicente) was constructed on a rock outcrop in the Tagus River but over the years the water levels have changed and it is now on the bank of the river so visitors can walk right up to it across a small bridge. The tower was completed in 1520 during the reign of Manuel I as one of a series of defense towers built to protect the harbor. Sailors and explorers would see the tower as they approached the harbor and it became an iconic symbol of home. The tower is a UNESCO site. Saint George’s Castle looks down over Lisbon and is a major landmark that can be seen from anywhere in the city. The oldest portions of the castle structure dates back to the ancient Romans followed by the Visigoths and then the Moors. The castle or citadel was a Moorish palace fortified in the 11th century. 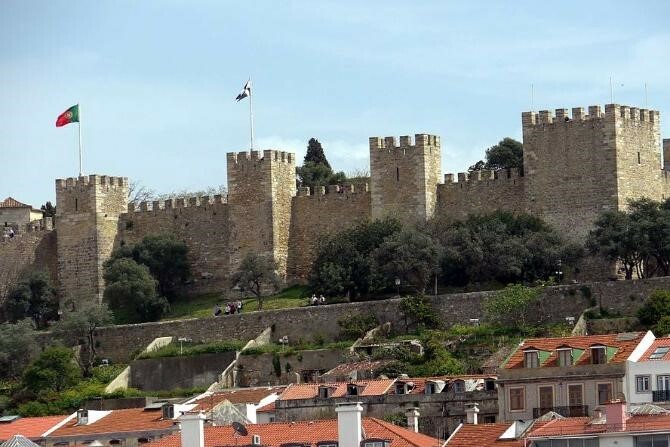 When the city was taken by King Afonso Henrique I in 1147 aided by the northern European Crusaders the castle became a royal residence as well as the royal court, home to the bishop and the Royal Archives. In thanks for the Crusader’s help the castle was named after the patron saint of England, Saint George. It is dedicated to the 15th to 16thcentury Age of Discovery when Portuguese explorers set out across the oceans to seek the New World. It was from this point where the ships would set sail to far off destinations like India and the Far East. 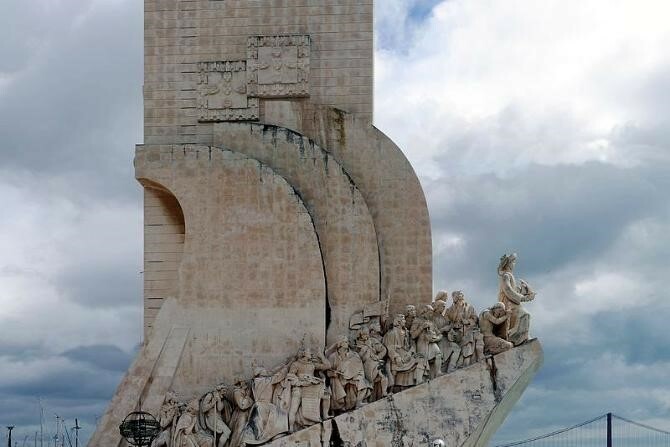 The monument was designed by José Ângelo Cottinelli Telmo and created by Leopoldo de Almeida in 1939 as a temporary attraction for the Portuguese World Fair of 1940. This is a monastery of the military Order of Saint Jerome, it is an outstanding example of late-Gothic Manueline architecture and is a UNESCO site. The monastery was constructed on the orders of King Manuel I near the site of an earlier 5th century church of Santa Maria de Belém. It was completed c.1601 and given to the Order of St. Jerome. It remained the headquarters for this religious community until 1833. The large monastery complex stands on the bank of the River Tagus. 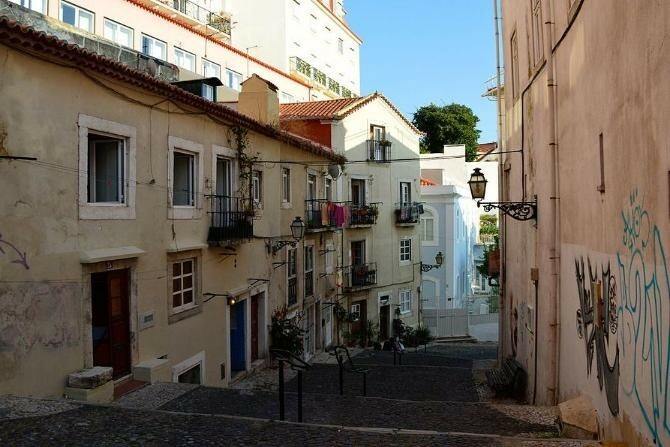 The Alfama neighborhood is one of the most beautiful in the city, it has tightly packed narrow cobblestone alleyways on steep hills so it is always best to begin exploring Alfama from the top and work your way down. At the top is the castle and at the bottom the estuary. A walk though Alfama will give you a glimpse of the traditional way of life in Lisbon and of how most of Lisbon looked before being generally gentrified. Alfama is also the site of Sé Cathedral, the national pantheon and Saint Anthony’s Church. Here you can find small neighborhood cafes where locals hang out, small public squares, churches, tile panels, whitewashed houses, wrought-iron balconies, colorful laundry strung from the windows and window sills dripping with bright flowers. The museum and church stand side by side, from the outside they are not impressive but the interior is one of the most stunning churches in the city. The church was commissioned by the Jesuits and designed by Filippo Terzi who also designed the São Vicente Church. As you enter the church you will not know where to look first. Above the nave is a painted wood ceiling and along the sides of the nave are eight chapels with splendid baroque art. The 16th century Jesuit church’s most famed attraction is the Chapel of Saint John created by Luigi Vanvitelli. 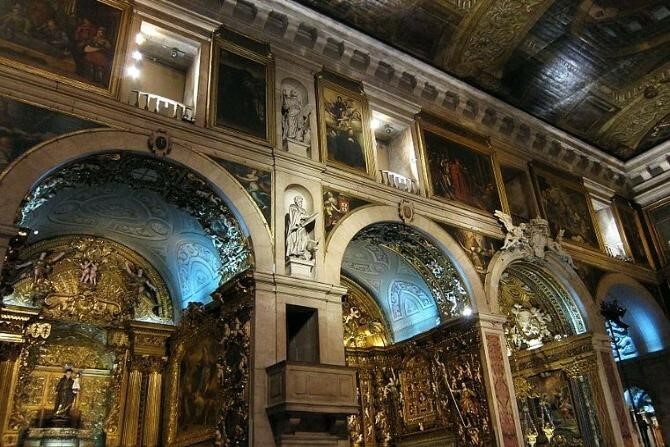 The chapel was assembled in Rome using the most opulent materials like lapis lazuli, gold and alabaster then it was shipped to Lisbon and reassembled in 1747. 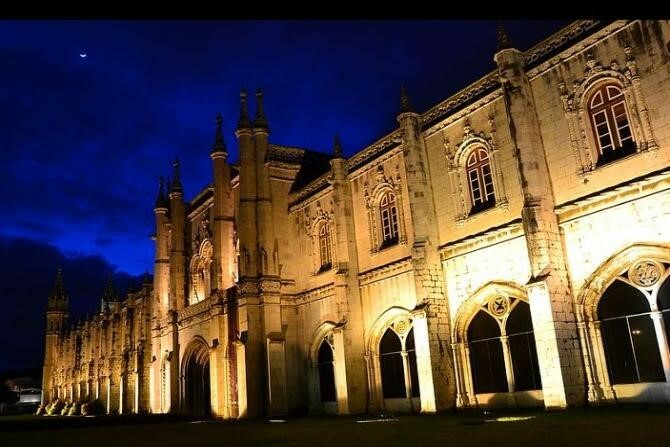 The chapel is said to be the world’s most expensive. In the church sacristy are scenes depicting the lives of the Jesuit saints. 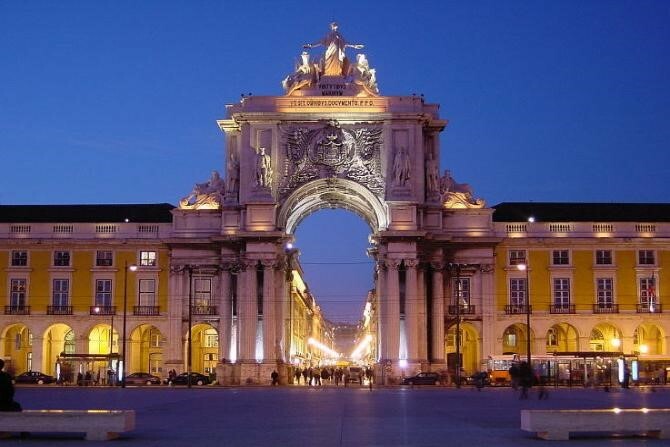 The triumphal arch at the end of the pedestrian street Rua Augusta opens up on to Commerce Square. It has been recently restored and is now not only very clean and repaired but is also open to visitors who want to go up to the observation level. The arch was constructed in 1755 following an earthquake in the same year as a celebration of the reconstruction of the city following the quake. It was only completed in 1875. 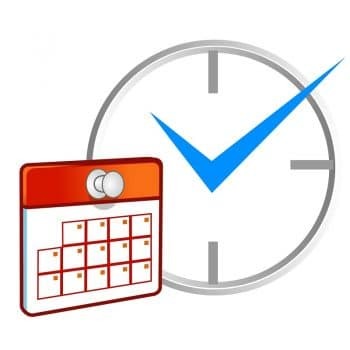 Welcome to the official website of 2019 International Conference on Modern Research in Social Sciences, which will be held in Lisbon, Portugal during April 12-14, 2019.